All veterans are entitled to burial in a national cemetery, a granite or marble headstone (regardless of the cemetery), and a flag. There will be no charges for opening or closing the grave, a vault or liner, or setting the marker in a national cemetery. Usually, a family is responsible for all other expenses including transportation to the cemetery. Death during active duty. 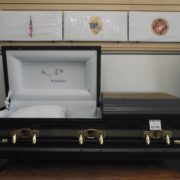 All funeral expenses will be paid by the military—body preparation, casket, transportation to the place of disposition, interment (if in a national cemetery), and marker. In addition, next-of-kin are entitled to a “death gratuity” of $100,000. Death due to a service-related injury. There is a $2,000 burial allowance for these veterans that may be used to cover some of the funeral director’s expenses, the casket, and transportation to the cemetery. If the veteran is buried in a VA cemetery, some or all of the costs to transport the body may be paid. This is decided on a case-by-case basis. If burial is not in a national cemetery, there is a $300 interment allowance, but it is unlikely that will cover opening and closing or vault charges, let alone the cost of the lot. Although a marker is available at no charge, the private cemetery will probably have a setting fee. 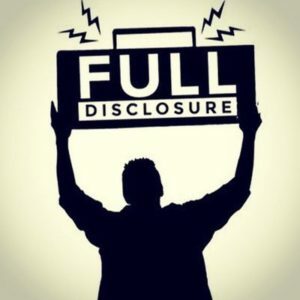 Non service-related death that occurs outside a VA health care facility, and when the veteran is collecting a VA pension or disability compensation. The VA will pay $300 toward funeral or burial expenses. Although burial in a national cemetery is free to these veterans and spouses, all other mortuary expenses are the responsibility of the family. The $300 interment allowance applies when burial is in anything other than a national cemetery. Death of a veteran outside a VA facility, not receiving military pension or disability compensation.The $2,000 and $300 benefits do not apply, nor is there reimbursement for transportation to the cemetery. The lot in a national cemetery, any required vault, interment, a granite or marble marker, and flag are the only burial benefits. If interment is in anything other than a national cemetery, the family is responsible for the cost of the lot, opening and closing charges, the vault, and any fee charged for setting the government marker if that is selected. The family must also bear all other funeral costs. State and County. Ask your local veterans’ office if there are any state and county death benefits for veterans. A spouse and dependents of an eligible veteran are entitled to burial and a marker in a national cemetery, even if the veteran is not buried there. A spouse who remarries a non-veteran may claim burial rights from the prior marriage. Spouses receiving military pay and who die in a military medical facility are eligible for military transport to the nearest national cemetery or no farther than the last permanent residence. Adult children of veterans are entitled to burial benefits only if disabled and dependent. There are a number of others eligible for veterans’ burial benefits if the person has provided military-related service. The list is quite long and includes civilians who were involved with military efforts during wartime. Members of the National Guard and Reserves with 20 years of service are eligible. Some Public Health Service personnel are also eligible. You should inquire if you believe you might be entitled to such benefits. Discharge papers (DD214 or equivalent). For spouses, the DD214 plus marriage license. Those convicted of subversive activities or capital crimes. Memorials are available to all veterans, spouses, and dependent children buried in a national cemetery and will be set without charge. When burial is in a non-VA cemetery, the family must pay for the setting or installation of the marker. Several styles of markers are available and must be consistent with existing monuments. Niche markers for cremains are also available. It takes about 90 days to get a VA marker. Inscription must include name, branch of service, year of birth, year of death—in this order—and may include emblem of belief, rank, and decorations earned. At private expense, additional items—such as nicknames and terms of endearment— may be added but must be approved by the VA.
Burial (or the scattering of cremains) at sea is available to all veterans and dependents, and is provided by the Navy or US Coast Guard. A flag is required, and—if supplied by the family— can be returned. If supplied by the Navy, it will not be. Because sea burials are done at the convenience of the military, the family may not witness sea burial. Bodies waiting for sea burial must be embalmed to a state of preservation that will last for at least 60 days. 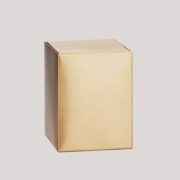 A special non-sealing metal casket, with nylon bands and drilled holes, must be used. You may not reserve space in a national cemetery ahead of time; arrangements are made only at the time of death. Burials in a national cemetery are not usually conducted on weekends. National cemeteries provide space for both body burial and cremated remains. Check with the cemetery regarding gravesite adornments other than natural cut flowers. Military honors or a funeral honor guard may be available from nearby military installations or veterans groups. Fly-overs are reserved for those on active duty at the time of death. A flag is provided on request for the burial of any veteran. Apply through the VA and pick up at a US Post Office. Family members may wish to purchase a flag case for later display, available through private sources. Next-of-kin, other relatives or friends may request a “Presidential Memorial Certificate.” More than one may be requested. A family may apply directly to the VA for all benefits. Although it may be convenient to let the funeral home do so, you may wish to ask if they charge for submitting claims. Other than for sea burial, there are NO casket requirements for routine body burial. When the body of a veteran without next-of-kin is unclaimed from a VA facility and the estate is without sufficient assets, the VA will assume responsibility for burial. The undertaker must supply a container more durable than cardboard, unless the body is to be cremated. “No-fee” passports are available for family visiting overseas gravesites or memorials. You may ask the National Cemetery System to do a search to locate anyone interred in a national cemetery. In addition to general vital statistics, you will need to know the state from which the veteran entered military service. Must you also purchase another lot? What are the costs for opening and closing each grave? Must certain memorials be purchased through the cemetery? What are the costs for setting memorials? Is a vault required? Even for cremated remains? May it be purchased elsewhere? Are there marker or planting restrictions? What are the “administrative” charges? Are there nearby municipal or religious cemeteries that charge less for the same services? If you’ve never planned a funeral before you might feel overwhelmed and not even know where to begin or what questions to ask. If so, you are not alone. In the early 20th century, Americans largely handed over the responsibility for caring for their dead to funeral directors. Over time, we talked about it less and less until we got to where we are now, largely ignorant of our options and what’s involved. Honoring our dead doesn’t have to be overwhelming, and you have a choice about whether to have a simple disposition or an elaborate funeral. Your taste, beliefs, and budget should dictate the type of funeral you arrange. Just like planning for a wedding, a baby, or buying a home or car, families need to talk about funeral planning and the costs involved. Avoiding the topic won’t stave off death, but it will make it more difficult, and likely more expensive, for survivors. Planning ahead can make a painful time easier to bear, and many find great meaning and peace carrying out thoughtful funeral plans that honored their family member’s wishes. There are as many ways to honor the dead as there are cultures, religions and budgets. Your personal philosophy or faith should guide your choices. No religion or philosophy dictates how much money should be spent on a funeral, and no belief system encourages burdensome spending. Families can choose simple arrangements, such as a cremation with no ceremony, or more elaborate ones, such as a long wake before a funeral. 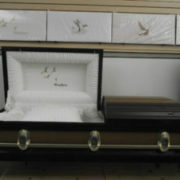 You can use no coffin at all, or choose a handcrafted hardwood casket. You can keep the body at home for visitation, or hold a viewing at a funeral home. Whatever you choose, be sure it’s based on what’s meaningful to you, not on what you think other people expect you to do. No amount of money, great or small, can express how we feel about those who have died. Taking an active role in funeral arrangements—whether that means carrying out the whole process without a funeral home, or just preparing and delivering the eulogy—is more meaningful than the money we spend. Most people are confused about what they can and can’t do. While many assume a “traditional” funeral—embalming, fancy casket, open-casket wake, funeral ceremony, procession, and graveside service— is “normal”, this type of funeral is actually a relatively recent commercial invention that is rarely practiced outside the US and Canada. This type of funeral has no roots in Christianity, Judaism, Islam, or any other religion. You have the right to care for your dead in almost any way that is meaningful to you. Being able to answer these questions will help you decide what you want and prepare for talking with a funeral director. Embalming? It is rarely required by law. While there are situations where it can be useful (for example, a long time between death and viewing), in no state is it required when burial or cremation takes place within two days, and in most states, refrigeration is a viable alternative. Viewing? Public or private/family? At the place of death, at home, at church or a funeral home? Body present at a funeral service? A memorial service held after the body is buried or cremated? If you want the body embalmed and/or don’t want to keep the body at home for a viewing, you will want to use a funeral home, so choose one that is physically convenient and appealing to you. Visit more than one, talk with the funeral directors, and choose an honest, flexible one that you believe will honor your choices with caring and dignity. This is a meaningful, once-in-a-lifetime occasion that can be marred by insensitive staff. If you prefer a memorial service after burial or cremation has taken place, there is no need to hold it at a funeral home. Have it at a religious institution, home, park, club, hotel, or community center. One woman in her 90s had lived in a nursing home for many years. When she died, her daughters chose cremation and put her ashes in a cookie jar, as a tribute to her legendary baking skills. They held a memorial service at the nursing home—complete with Mom’s bake-off ribbons—where residents remembered her with laughter and tears. If you choose cremation and no embalming, friends and family can be invited to say their goodbyes at home or other place of death before the funeral director is even called. You have at least 48 hours before refrigeration or final disposition is required. When you are ready, the funeral director will pick up the body, arrange for the cremation and return the remains to you. This works with a quick burial as well. Since there is no need to go to the funeral home, you can pick the least expensive, even if it is somewhat farther away. If someone has been cared for at home for a long time, it can feel best to keep that person home until burial or cremation. In most states an individual, family, community or religious group can handle a death without hiring a funeral director. Families can do everything on their own or hire a home funeral consultant, death midwife or funeral director to assist. When her 6-year-old daughter died after a long illness, one young mother couldn’t bear to give her daughter’s body to a funeral home. Because she had cared for her daughter in every way a mother could, she dressed her daughter at home and laid her in her bed with her favorite stuffed animals. Friends, siblings, and schoolmates were invited to come to the home to say goodbye in a very private setting. Her friends spent time with her in her own bedroom, and talked with their parents about the mystery and pain of her death. It gave them time to come to terms with her death in a comfortable, family-centered setting. Depending on the state, the family can then bring the body to the crematory or cemetery themselves or hire a funeral director to provide transportation, permits, etc. Most people pick the funeral home closest to them or one they have used in the past (even if they were unhappy). Neither of these criteria tell you whether you’re getting good service, and prices can vary enormously between funeral homes, even just blocks apart. Be sure to contact your local Funeral Consumers Alliance affiliate to see what guidance they can offer. Some have arranged discounted prices with specific funeral homes. Some have done an area-wide funeral home price survey which can give you a great overview of local options. All will provide information and education and most can refer you to an ethical funeral home. Once you’ve decided what you want, talk to your likely survivors about your wishes and what you’ve learned. If plans go awry, or death occurs away from home, they’ll need the skills and knowledge you’ve developed to negotiate the funeral for themselves. Put your plans in writing, but don’t put them in a will or a safe deposit box, as they likely won’t be seen until long after other arrangements have been made. To have all your documents in one place, order the “Before I Go, You Should Know” funeral planning kit. No one wants to even think about a funeral, let alone plan one. But working things out in advance and buying life insurance to cover the costs protects family members from the unpleasant job of negotiating services as they grieve for a loved one. The average cost of a traditional funeral, including embalming and a metal casket, is almost $6,600, according to the most recent data from the National Funeral Directors Association. Cemetery services, including the gravesite and vault or liner, can cost an additional $3,000, says Joshua Slocum, executive director of the Funeral Consumers Alliance. Funeral directors say you don’t want to skimp because funerals aren’t just about the deceased. The ritual involved in burying a loved one provides support and healing to the family, they say. But consumer advocates caution that this is how funeral directors make a living. “When you hear the ‘value of a funeral,’ you’re hearing the recitation of the business mantra,” Slocum says. Follow these tips to know your rights, and avoid overpaying for a funeral. Most people pick the closest funeral home or one their family has always used, Slocum says. That doesn’t mean you’re getting a good deal, though. Comparing price quotes from at least three funeral homes could save you thousands of dollars. “If you only call the first funeral home on the hospital’s list, you’ve got the meter running without knowing what the rate will be,” Slocum says. If the funeral home is owned by a big, corporate chain, the meter will rack up even higher rates, he adds. You’ll want to compare costs such as: the transport and care of the body; caskets or urns; arrangement options (wake versus quick burial or cremation); and embalming charges. Funeral directors are required to give you a written, itemized price list for their products and services, according to the “Funeral Rule” enforced by the Federal Trade Commission. The list will include their “basic services fee,” which all customers must pay and can range from $200 to $3,695 in the Kansas City area. It covers the professional services of the funeral director and staff and can include planning, permits, certified death certificates, storage of the body, and coordination with the cemetery or crematory. The FTC says you’re also entitled to a written price list of all caskets, including any lower-priced models that may not be on display. Funeral directors are business people, not ministers. But people often think they are quasi-clergy Slocum says. Make that mistake, and you’ll tend to believe everything they say, he says. “Remember, funeral homes are in business to make money,” he adds. But directors can conduct services, especially when a family doesn’t want a minister from a specific denomination, says Walker Posey of Posey Funeral Directors in South Carolina. A funeral director will lead the service as a “celebrant” and some directors opt for formal training to do that, says Posey, who’s also a spokesman for the National Funeral Directors Association. Funeral directors may require you to buy services that are not really necessary under the laws in your state. For example, a funeral home may say embalming is necessary for a wake. But the FTC says no state routinely requires embalming unless the body is not buried or cremated within a certain time. If the arrangements will be delayed, ask about refrigeration to preserve the body. Similarly, cemeteries often insist on casket vaults and liners to prevent graves from sinking as the casket deteriorates. But the FTC says state laws do not demand a vault or liner. Cremations average $3,200 — less than half the average cost of a traditional funeral, says Barbara Kemmis, executive director of the Cremation Association of North America. 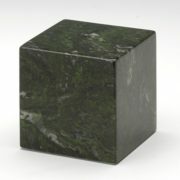 The urn can cost as little as about $20, and you can buy one at a number of places online, including the websites of major retailers such as Costco. The federal Funeral Rule states that funeral directors can’t require a casket for a cremation. They must offer other choices, including a simple cardboard box. The cremation association says nearly 41% of all deaths resulted in cremation in 2010, up from about 34% in 2006. The cremation rate is expected to rise to almost 56% by 2025. Beware the sales pitch for a sealed casket to help keep out “gravesite elements” — meaning water and bugs. That seal is often just a cheap rubber gasket, Slocum says, and can add hundreds of dollars to the casket cost. “I advise people to stop, sit down and rethink whether it makes sense to ‘protect’ a dead body,” he says. The Federal Trade Commission says a funeral home may not refuse to use a casket or urn you bought on the Web or at a local store. Also, the funeral director cannot charge you extra to handle a casket or urn purchased somewhere else. Funeral directors may offer a “discounted package price” on the entire funeral if you include one of their caskets — but there really isn’t a discount, Slocum says. Or they may offer reduced casket prices but have the difference rolled into their basic services fee, he says. Embalming uses toxic chemicals, and steel caskets aren’t biodegradable — and both add substantially to funeral costs, says Joe Sehee, founder of the Green Burial Council. So say no to embalming. Instead of a steel casket, a biodegradable shroud (basically a sheet wrapped around the body) costs as little as $40. If you prefer the shape of a coffin, a biodegradable wool “casket” will run about $350, Sehee says. Cemeteries that accept shrouded bodies are called “natural burial grounds.” There are only 22 operating in the U.S., with a few more under development, according to the Natural Burial Cooperative. Skip the formal services and you might save thousands of dollars with a “direct burial” or “direct cremation,” which involve no embalming, viewing or visitation. Families can opt for an economical memorial service at home, a church, park or community center. 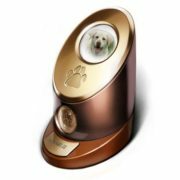 You can print memorial cards on your computer, decorate the room with your loved one’s pictures or favorite items, and ask everyone to share memories. “One family had a wine-and-cheese memorial service in the art gallery that the deceased had volunteered for,” Slocum says. The more a funeral costs, the more it eats up life insurance money that surviving family members might need to keep their home or for the kids’ college expenses. Women have $129,800 of individual life insurance, on average, while men have $187,100, according to the life insurance industry organization LIMRA. One last way of holding down funeral expenses is to turn to one of a number of nonprofits, usually volunteer groups set up in most states to provide funeral planning information. These affiliates of the Funeral Consumers Alliance may offer price surveys to assist with comparison-shopping. And some even offer discounts negotiated with local funeral directors. The affiliates are listed on the alliance’s website, Funerals.org. Kansas City Funeral Consumer Alliance’s website is FuneralsKC.org.